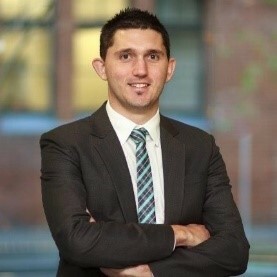 Born and bred in the Parramatta Community, I am passionate about connecting and driving business in Western Sydney. We’ve been hearing that Parramatta is going to be “the next CBD” all my life, but the dream is becoming a reality, and the community we are building in the Chamber represents an opportunity for us to push the continued growth of business in Parramatta. As a Business Development Manager, my strength lies in building networks, raising brand awareness and connecting people. If elected, I will utilise these strengths to help Chamber members maximise the benefits of the network, helping them realise the full potential of the Chamber for their business.